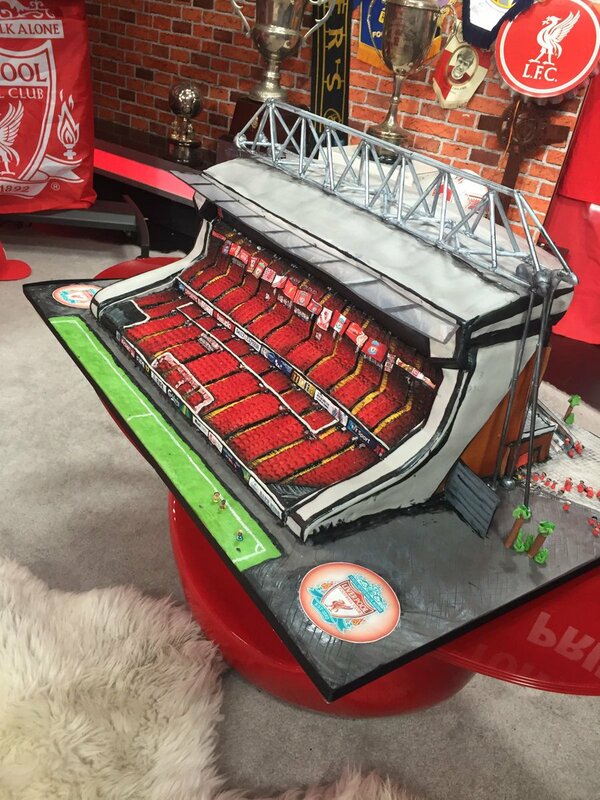 Anyone who has seen Anfield's new Main Stand would surely agree that it's hugely impressive - and, thanks to award-winning cake artist Ben Cullen, it now looks delicious, too! Cullen became known to Liverpool fans in June this year, when he marked Jürgen Klopp's birthday by creating a cake sculpted to resemble the Reds boss' head. Now the Chester-based Bake King has designed a new sweet treat in homage to Anfield's expanded Main Stand - and you can watch some free time-lapse footage of his incredible efforts by clicking play above. Ben, a guest on this week's edition of LFCTV's Thursday Night Show, said: "A few people have mentioned this as a challenge. I did the Jürgen Klopp head for his birthday and people were saying 'you should make the stadium', then with the new Main Stand, people put that to me, so I thought that it was something I wanted to challenge myself with. "I got some MDF and started from the base up using some pictures I had. Melted marshmallows and Rice Krispies give it a sturdy base, then it's just hours and hours of trying to match it up [to the photos]." You can catch up with this week's edition of the Thursday Night Show on LFCTV GO. Need a subscription? Click here for more information.